Kathy was born in Ft Bragg, NC in 1949. Her parents met and married at the end of WWII in Austria. Her father was an Army Captain, her mother an Army nurse. She enjoyed the childhood of the traveling “Army Brat” that enriched her life and widened her horizons. Some of her favorite things include running, triathlons, hiking, anything Star Wars or Lord of the Rings, Stephen Colbert, animals, Jeopardy, history, travel, reading and the Atlanta Falcons. Dear Dad chronicles the journey of General Judson F. Miller’s experiences in WW II as a 2nd Lieutenant commanding a tank platoon of 20 men and five tanks. Landing in France in mid-July 1944, he fought across Europe, surviving the Hurtgen Forest as well as the Battle of the Bulge. After the war ended, he remained on occupation duty. We are drawn into his personal accounting of the war through his letters home. More than 60 letters, never before published, take us into the realities of the coming of age that molded him as a man and his 34-year Army career which would include wars in Korea and Vietnam. In a unique and touching perspective, his letters are intertwined with correspondence written by his oldest daughter to him after his death. 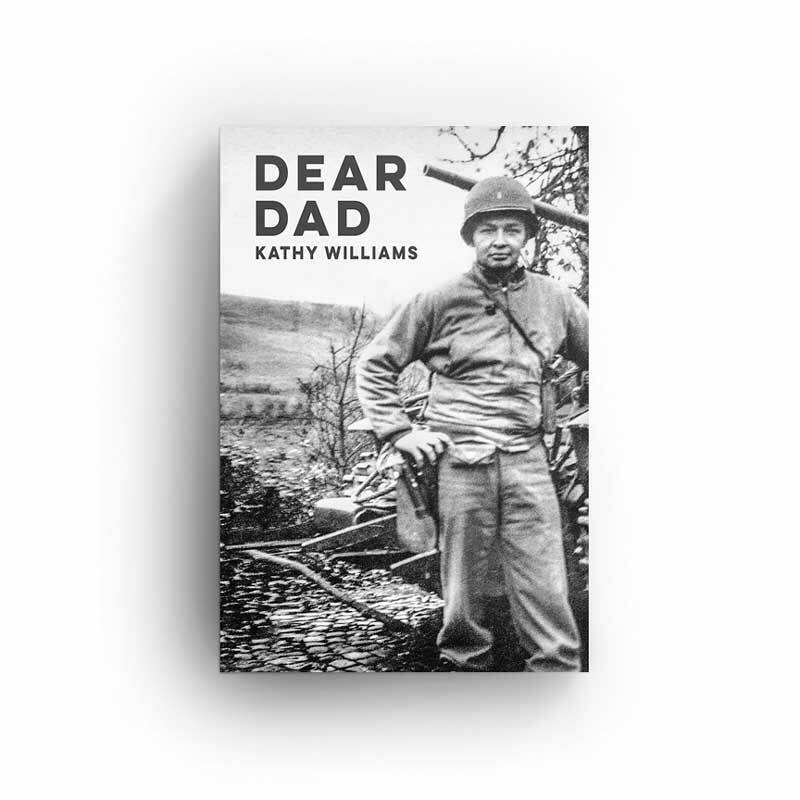 She shares the grief of losing her father as well as the regret of not being able to finish reading his war letters with him while he still lived. She captivates the reader with compelling family stories and childhood confessions of humor, tragedy, and love that resonate with us all.